Angela T. Cassano, Pharm. D., BCPS, FASHP, is Founder and President of Pharmfusion Consulting, LLC, a consulting firm for hospital pharmacy management, integration of pharmacy technicians and medical technology into pharmacy practice models, sterile compounding, and medication safety. She is an adjunct faculty member for Virginia Commonwealth School of Pharmacy where she teaches pharmacy law and serves as faculty for the VCU Center for Compounding Practice and Research. She also serves as Scientific Project Manager in the ASHP Office of Professional Development with responsibilities for developing educational programs and resources in sterile compounding, including the online resource centers, cspinsourcing.org and pnsafeuse.org. Dr. Cassano earned her Pharm.D. degree at Campbell University in Buies Creek, North Carolina, and completed two residencies at Virginia Commonwealth University Health System in Richmond, Virginia. Dr. Cassano has worked as a pediatric and neonatal clinical pharmacist, Assistant Health System Director of Quality Assurance and Drug Safety, and Assistant Health System Director for Clinical Pharmacy Programs. She has done research and subsequent presentations and publications on topics that include pharmacy technician advancement, regulatory compliance, sterile compounding, quality assurance, and medication safety. She recently completed her tenure as an inaugural member of the ASHP-ACPE Pharmacy Technician Accreditation Commission. Eric S. Kastango, B.S.Pharm, M.B.A., FASHP, is President and CEO of Clinical IQ, LLC, a healthcare consulting firm, and CriticalPoint, LLC, a web-based education company. Mr. Kastango received his Bachelor of Science degree in pharmacy from the Massachusetts College of Pharmacy and Allied Health Sciences and his Master of Business Administration degree from the University of Phoenix. He is also the 2014 recipient of the NABP Henry Cade Memorial Award that recognized the efforts and assistance to the states and NABP to address the compounding tragedy that occurred in 2012. Since 1980, Mr. Kastango has practiced pharmacy in a number of practice settings, including hospitals, community, and home care, and in a number of different of roles, including Corporate Vice President of Pharmacy Services for Coram Healthcare Corporation. He has also managed an FDA-registered cGMP manufacturing operation for Baxter Healthcare Corporation. He is an active member and Fellow of ASHP. He was elected to the Council of Experts-USP Sterile Compounding Committee for 2005-2010 and 2010-2015 cycles, serving until April 2013. In May 2013, USP recognized Mr. Kastango and the members of the Compounding Expert Committee with an Award for Outstanding Contribution to the USP Standards-Setting Process. He has served on the USP Hazardous Drug Expert Panel since 2010. He is actively working with NABP and state boards of pharmacy to provide training to their sterile compounding inspectors. Mr. Kastango is author of the 2004 ASHP Discussion Guide for Sterile Preparation: Summary and Implementation of USP Chapter <797>, the ASHP Sterile Product Preparation: A Multimedia Learning Tool (CD-ROM), and ASHP’s web-based 797 Compliance Advisor Gap Analysis Tool for USP Chapter 797. He also is the author of the CriticalPoint web-based educational series on Sterile Compounding and Annual National USP <797> Compliance Survey now in its sixth year. He served on the Expert Panel for ASHP Research and Education Foundation in the development of the 2015 Outsourcing Sterile Products Preparation Vendor Assessment Tool and the Insourcing Sterile Compounding Services Readiness Assessment Tool. He has over 200 invited national and international professional presentations on various pharmacy practice topics, such as pharmacy compounding and quality systems. 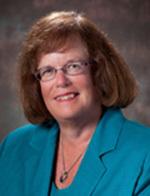 Patricia C. Kienle, B.S.Pharm., M.P.A., FASHP, is Director of Accreditation and Medication Safety for Cardinal Health Innovative Delivery Solutions in Wilkes-Barre, Pennsylvania. She received her pharmacy degree from Philadelphia College of Pharmacy and Science and a Master in Public Administration degree from Marywood University in Scranton, Pennsylvania. She completed the Executive Fellowship in Patient Safety from Virginia Commonwealth University and is Adjunct Associate Professor at Wilkes University in Wilkes-Barre. Ms. Kienle has served on the Board of Directors of ASHP and as President of the Pennsylvania Society of Health-System Pharmacists (PSHP). She is a fellow of ASHP and was named Pharmacist of the Year by PSHP. She received the Distinguished Achievement Award in Hospital and Institutional Practice from the American Pharmaceutical Association Academy of Pharmacy Practice and Management and the Distinguished Leadership Award from ASHP. She has served on the Pharmacotherapy Specialty Council of the Board of Pharmaceutical Specialties, Pennsylvania Patient Safety Authority, Hospital Professional and Technical Advisory Committee of The Joint Commission, and Board of Governors of the National Patient Safety Foundation. She is a current member of the USP Compounding Expert Committee and chair of the Subcommittee on Hazardous Drugs. Ms. Kienle is the author of Compounding Sterile Preparations: ASHP’s Visual Guide to Chapter <797> Companion Guide and video, co-author of Assuring Continuous Compliance with Joint Commission Standards: A Pharmacy Guide, 8th edition, and author of The Chapter <800> Answer Book. She edited Understanding JCAHO Requirements for Hospital Pharmacies. She is a frequent presenter to professional groups with special interests in promoting medication safety, compounding sterile preparations, accreditation, and regulatory issues. Tom Woller, M.S., B.S. Pharm., FASHP, is Senior Vice President of Pharmacy Services for Aurora Health Care in Milwaukee, Wisconsin. Aurora Health Care is an integrated health care system serving eastern Wisconsin. His current responsibilities include oversight of services provided by 15 acute care hospital pharmacies, 72 retail pharmacies and the 150 clinics of Aurora Health Care. Mr. Woller received his Bachelor of Science in Pharmacy and Master of Science in hospital pharmacy administration degrees from the University of Wisconsin in Madison. He completed a two-year residency in practice management at the University of Wisconsin Hospital and Clinics in Madison. Mr. Woller is a past chair and member of the Premier National Pharmacy Committee. He is Fellow of the American Society of Health-System Pharmacists (ASHP) and a past member of the ASHP Commission on Credentialing, serving on the commission for six years including one year as vice-chair and one year as chair. He has served for three years on the ASHP Council on Organizational Affairs, including one year as vice-chair and one year as chair. Mr. Woller is an active ASHP and Pharmacy Society of Wisconsin (PSW) member and has served in a variety of capacities for state pharmacy organizations in Minnesota and Wisconsin. Mr. Woller received the 2007 PSW Wisconsin Pharmacist of the Year Award and the 2010 Winston J. Durant Lecture Award. His current interests are in optimizing integration of pharmacy services in health systems.